MGM Resorts has extremely diverse spend categories ranging from shampoo for hotel rooms to medication for dolphins, according to Amanda Prochaska, head of procurement PMO. 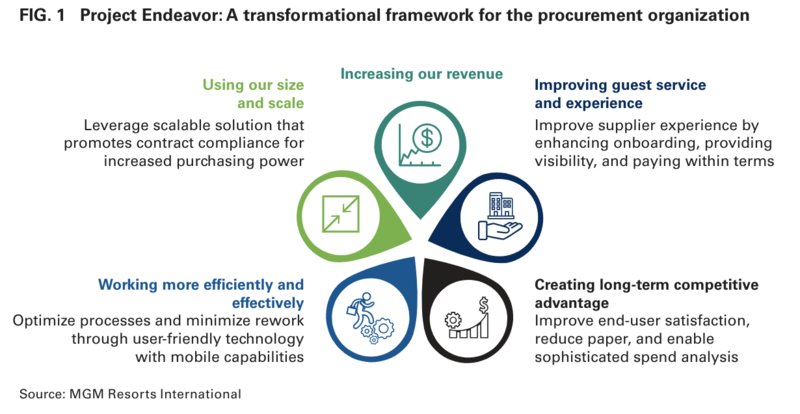 Unfortunately, the company’s aging procure-to-pay processes and systems made it difficult to manage this exceptional spend diversity–resulting in delayed payments and higher costs across goods, services, and procurement operations. MGM Resorts’ procurement organization recognized that by upgrading systems and changing internal processes, it could significantly reduce costs and improve the employee and supplier experience.